I’ve been looking at a drawing I had completed years ago for The Little Book of Drawing and realizing that it seemed quite linear in nature and lacking a real sense of depth. 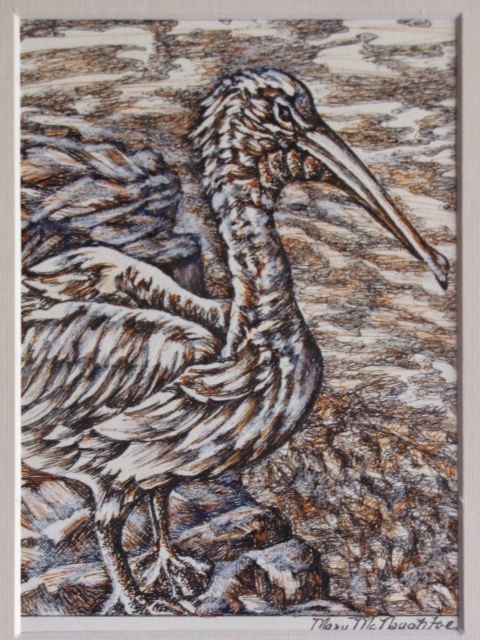 The original was a pen & ink done in black of a stork sunning itself on a rock. I added color with a limited palette of black, dark umber, and sienna. Also thrown in is white Conte’ crayon to allow for more contrast with the background. The gradations move off of the line and instill a three dimensional nature. Funny how it’s easier to tell your students to do this than see it in your own work! Oh well, better late than never. I am including both drawings. 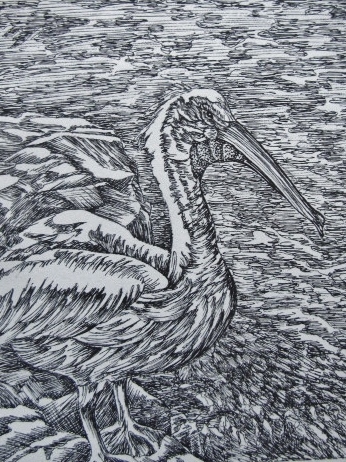 You are currently reading Adding Value and Depth to Drawing of a Stork at Dr. Mary McNaughton and Drawing.